Bald Head Island rests approximately two miles from the North Carolina coast near the charming city of Southport. This secluded paradise is accessible only by passenger ferry or private boat. Golf carts are the primary mode of transportation. Absent from Bald Head Island are automobiles, crowded beaches and high rises. Instead, long stretches of sand, beautiful marshland and an enormous maritime forest wait patiently for discovery. Not merely a place, Bald Head Island is an experience that creates distinctive impressions upon its guests, lasting memories that urge them to return year after year. Getting to the Island takes just a 20-minute ferry ride from the ferry terminal at Deep Point Marina in Southport, N.C. to the harbour at Bald Head Island, which is approximately two nautical miles. For Ferry information, CLICK HERE. 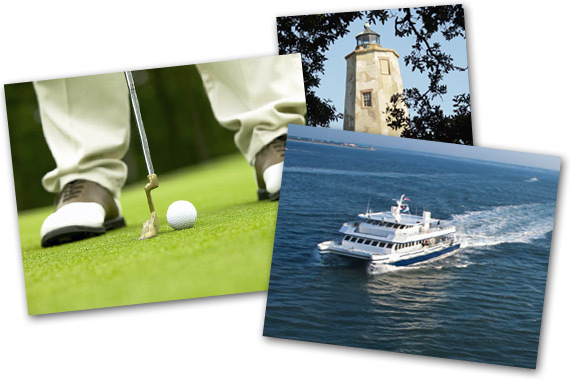 Enjoy the many activities Bald Head Island has to offer: golfing, shopping, pampering, fishing, boating, sunbathing, and fine dining. Our staff will help you plan the perfect trip. To get started CLICK HERE go to our activities calendar, updated monthly. When you stay at The Marsh Harbour (or become a Fractional Owner) you can use The Bald Head Island Club as a temporary member for an additional fee. Delphina Cantina: (Located at the former River Pilot Restauarant) Casual, Cuban, Mexican, Spanish Cuisine. Kid friendly, romantic water front, outdoor dining (with beautiful views of the Atlantic Ocean). It's the perfect dining experience with locally grown products and only the freshest ingredients! Open for lunch or dinner it's a short golf cart, bike or walk away from the Marsh Harbour. Highly recommended! Mo Jo's: Casual Harbour Front Dining includes a great outdoor deck, bar with big screen TV, and live entertainment on weekends. Specialties include burgers, fresh seafood and their famous Carolina Steampot. Best part….it's within walking distance from The Marsh Harbour. 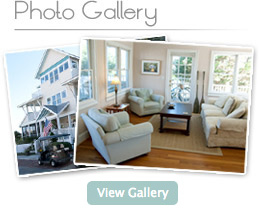 Pelicatessan: Located at the Bald Head Island Club, this is a "poolside" family friendly venue. Great breakfast pizzas and pastries, bagels, and coffee, as well as fantastic deli sandwiches, pizzas made to order, ice cream, and great burgers. (Bald Head Island Membership not required during "off" season.) Great views of the Atlantic Ocean from top-side dining deck. The Maritime Market Deli: Located in the Maritime Market grocery store, you can stop by for pizza slices, create-your-own salads, mouth-watering subs and much more.